We know one of the biggest challenges a chain restaurant faces is to continuously identify flavor trends that keep the menu relevant—even exciting—to patrons. New dishes not only have to be intriguing to a broad customer base but must also function well operationally. For a national concept, that’s easier said than done. 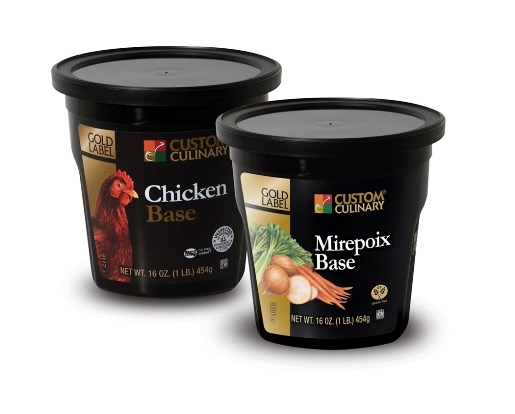 Custom Culinary, Inc. offers a wide variety of branded bases, gravies and sauces to help meet your needs. We offer the broadest range of food bases in the industry! Our Gold Label bases utilize our proprietary Meat First™ technology to deliver top quality flavor. The thinking behind Gold Label is that long ago a soup bone used to have a lot of meat still attached to it, and it’s the meat—not the bone—which carries flavor. We replicate that old-world, scratch-made flavor. Master’s Touch® bases come in at a mid-level price point for lower margin dishes. Chef’s Own™ bases come in an economical, granular format. 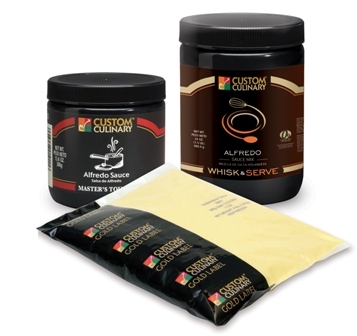 Our broad range of sauces includes frozen, ready-to-use, concentrates, and dry mixes. Chef-developed, our Gold Label Ready-To-Use Sauces are incredible as is or can be tweaked back-of-house to create a customized, craveable version. These frozen sauces come in classic sauces such as demi-glace and ethnic flavors such as sweet & spicy szechuan. Master’s Touch® Sauce Concentrates are available in a wide variety of classic flavors and are perfect for speed-scratch applications. Whisk & Serve® Sauce Mixes offer authentic flavor and performance in an economical, functional—and operationally-friendly format. 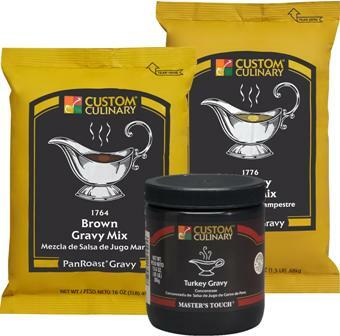 When developing our gravy mixes and concentrates, our chefs successfully replicated the complex flavors of real pan drippings to deliver best-in-class flavor. The result is a line of high quality concentrates and dry mixes. Master’s Touch® gravies epitomize scratch-made flavor and offer the ultimate in texture and performance. Our PanRoast® gravies are economical, functional—and flavorful. Our bases, sauces and gravies also meet a variety of health considerations such as low sodium, no gluten ingredients*, no MSG added, vegan, and vegetarian.